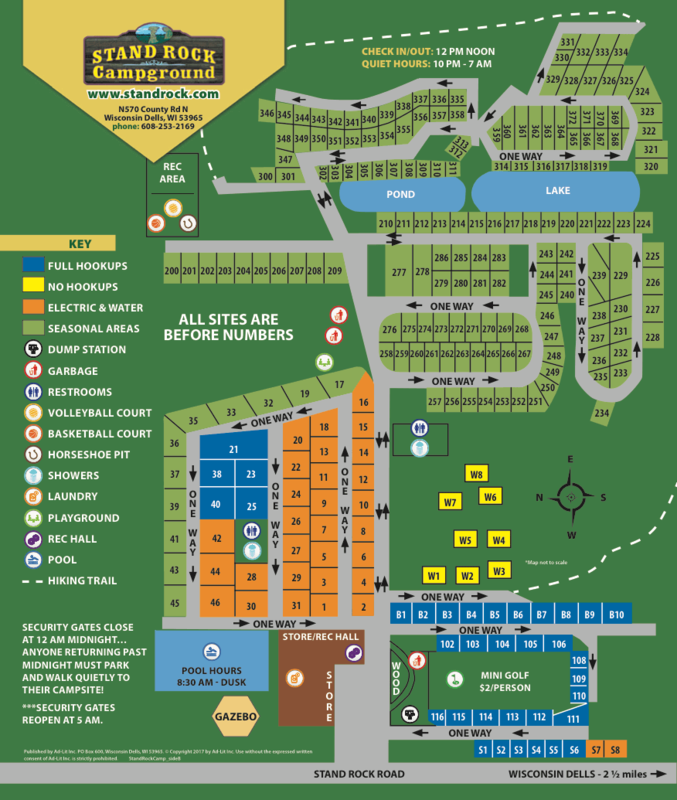 ONE Camping Unit /Family per Site Please! All rates based on FAMILY of 2 adults & 3 children under age 18. 7 days prior notice minus $10 service fee, less than 7 days no refund. 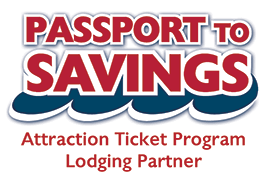 Recognized by the Best Holiday Trav-L-Park as one of the top 4% of parks across America! Latest arrival check in: 10 p.m.
Internet hook-up (ethernet: we supply the cable, or wireless) for those who wish to check e-mail is available 8:00 a.m.-8:00 p.m. in the recreation hall.